Russia has been ramping up its forces near the border with Ukraine since August and now poses the greatest military threat since 2014, the year Moscow annexed Crimea, the commander of Ukraine's armed forces told Reuters in an interview on Tuesday. General Viktor Muzhenko gestured to a series of satellite images which he said showed the presence of Russian T-62 M tanks stationed 18 kilometers from the Ukrainian border. They had more than doubled to 250 from 93 machines within the space of two weeks from mid-September to Oct 1. 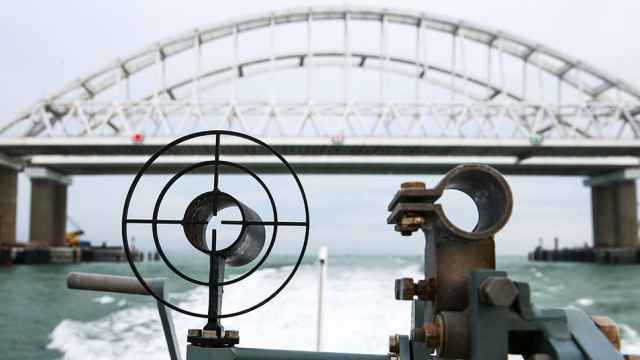 For Muzhenko this is evidence of a concerted build-up of Russian forces in the run-up to Nov. 25, when Russia fired on and captured three Ukrainian vessels at the Kerch Strait, an action Kiev's leadership fears may be a precursor to a full-scale invasion. 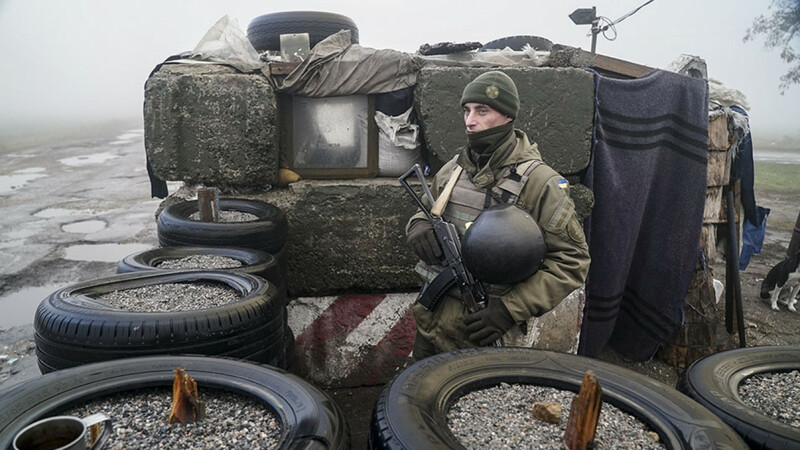 Ukraine and Russia have traded accusations over the clash. The Kremlin's spokesman on Monday dismissed as "absurd" the notion that Russia wanted to forcibly take over Ukrainian ports. Muzhenko said Russian troop levels were at "the highest" since 2014, when Moscow annexed Crimea and then deployed forces to eastern Ukraine. "In front of us is an aggressor who has no legal, moral or any other limits," he said. "It is very difficult to predict when it will occur to him to begin active combat actions against Ukraine." 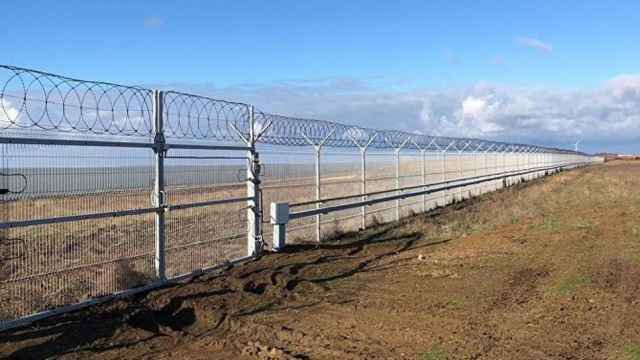 "This [the Kerch Strait incident] was an act of aggression from regular forces, the border service [of the Russian Federation] in relation to the Ukrainian armed forces," Muzhenko said. Muzhenko said Ukraine had deployed more land and air forces to the region in response, and intensified military exercises across the country, but declined to go into specifics. He added that Ukraine expects to complete the building of a military base on the Azov Sea, which had been planned before the navy clash, by next year. Ukraine was also expecting help from allies, mostly the United States, for equipment including air and naval reconnaissance, boats and weapons for ground troops, he said. Relations between Ukraine and Russia collapsed following the 2014 Crimea annexation and Russia's support for separatist rebels in the eastern Donbass region. The Donbass conflict has killed more than 10,000 people despite a notional ceasefire. Russia strongly denies sending troops and heavy weapons to the area. 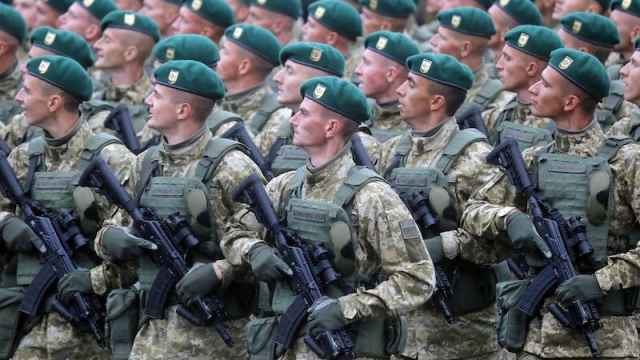 Ukrainian President Petro Poroshenko introduced martial law last week for a period of 30 days in regions of the country thought most vulnerable to a Russian attack. Asked whether the military would need an extension once the 30 days of martial law expired, he said an assessment would be made closer to the time. "The term of martial law depends on the Russian Federation," he said. "Based on how it will increase its capabilities, how it will react, how it will provoke and carry out such provocations — not like in the Kerch Strait but also on a larger scale — the legal regime that will be defined in Ukraine depends on it." From around August, Russia had ramped up its deployment of forces on the Ukrainian border, he said. Some units were transferred from Russia's Far East to the Ukrainian border in September during Vostok-2018, Russia's biggest war games since the fall of the Soviet Union. "We are seeing an increase in the intensity of operational and combat training measures, and all of them, as a rule, are offensive in nature," he said. 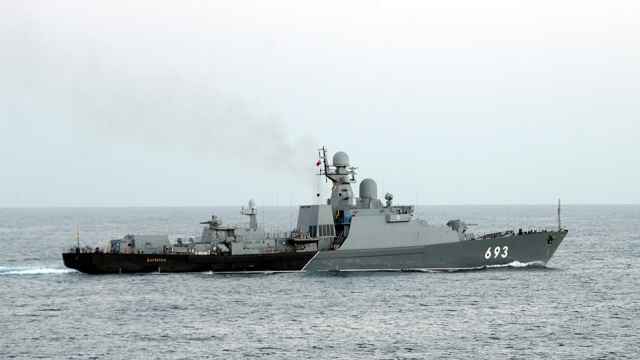 He said there was a "serious increase" in the amount of troops and weapons in Crimea and Russia had also doubled its naval presence in the region in the past month. "The combination of all these signs confirms the aggressiveness of the intentions and the threats of a military nature against Ukraine, which are constantly increasing," he said.